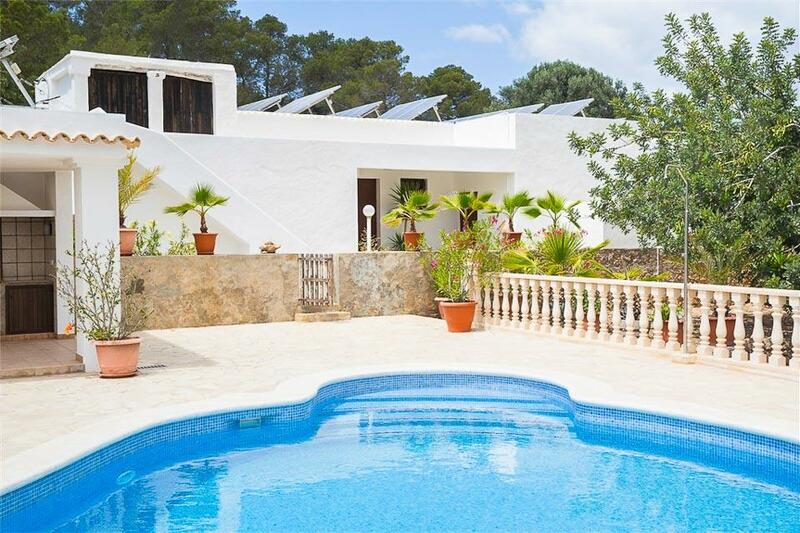 If you are looking for a charming Ibiza finca with sea views, beautiful Villa Tunico could perfectly fit the bill. 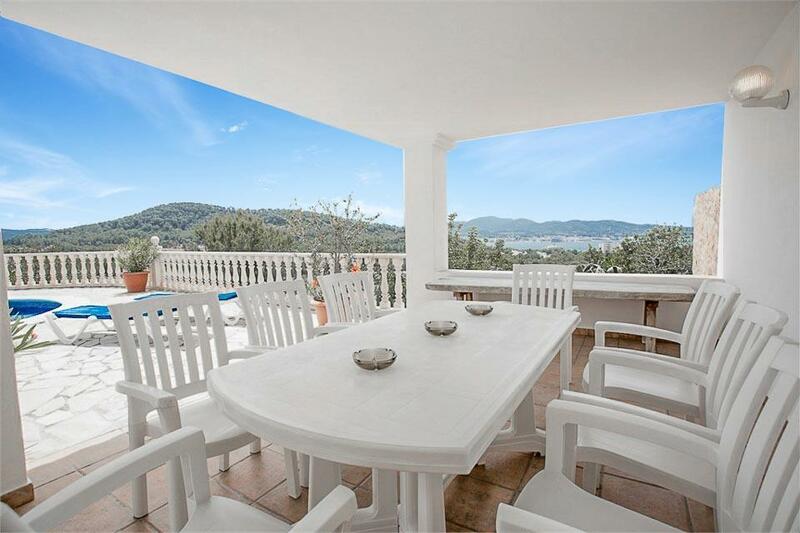 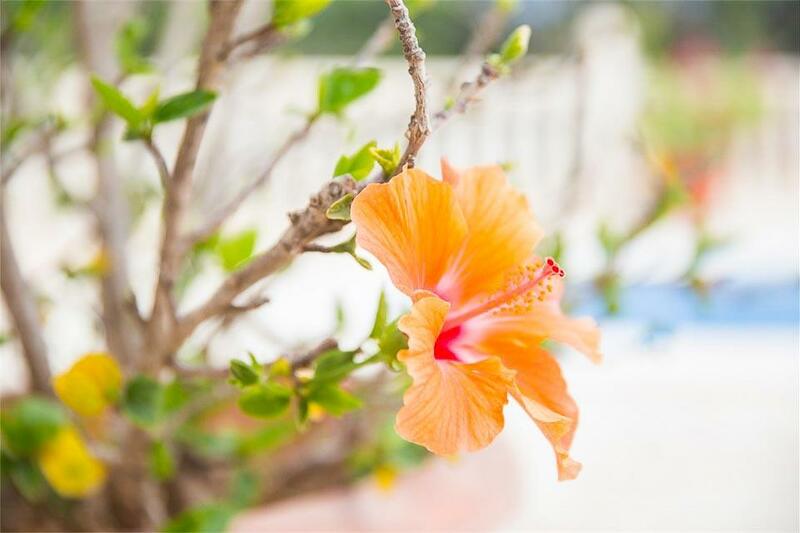 If you are looking for a charming Ibiza finca with sea views, beautiful villa Tunico could perfectly fit the bill, with absolutely breath-taking views across from Punta Galera down to San Antonio and the surrounding beaches and coves. 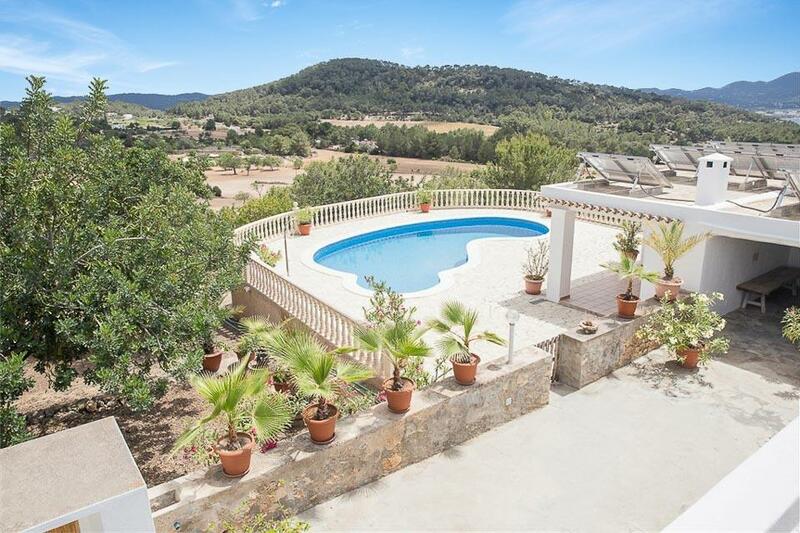 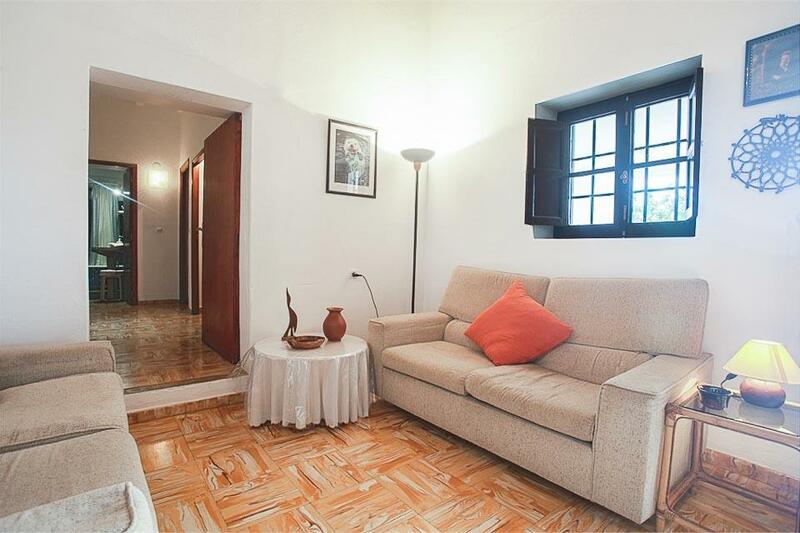 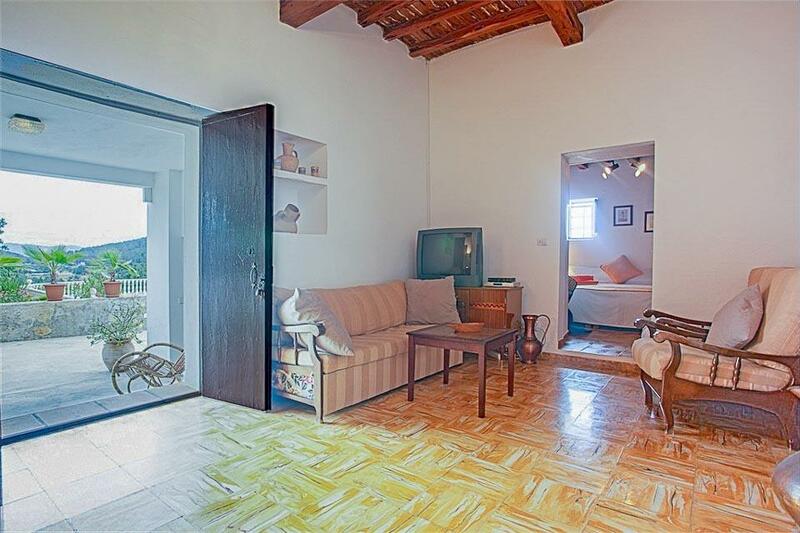 This property is a typical Ibizan farmhouse set in pretty, walled grounds. 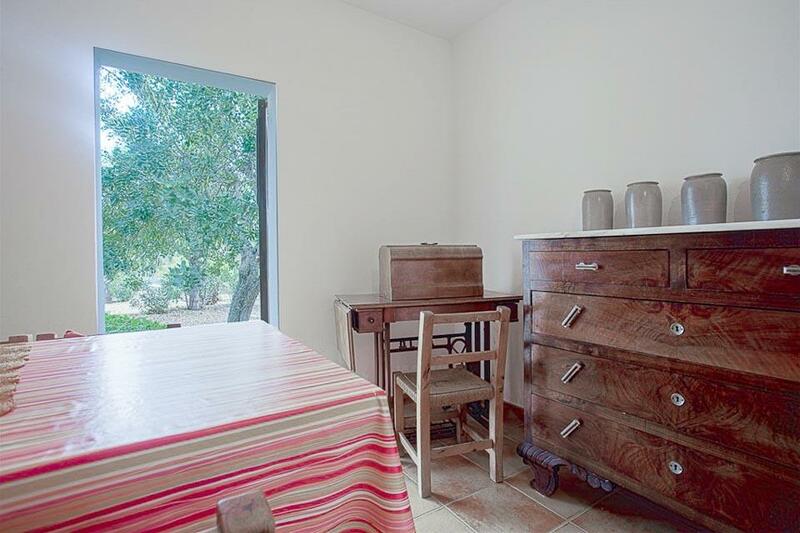 the location is perfect; a tranquil, hillside property but only a few of minutes’ drive outside San Antonio. 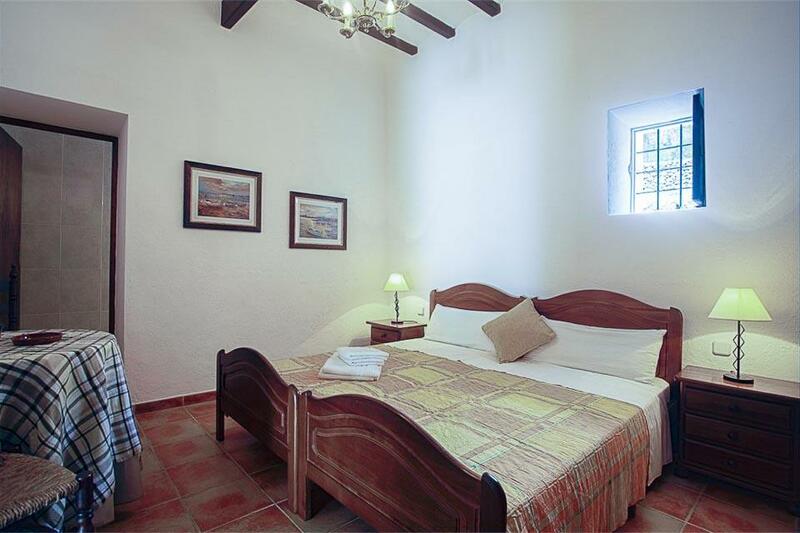 If you were feeling energetic, you could reach the town on foot within about half an hour. 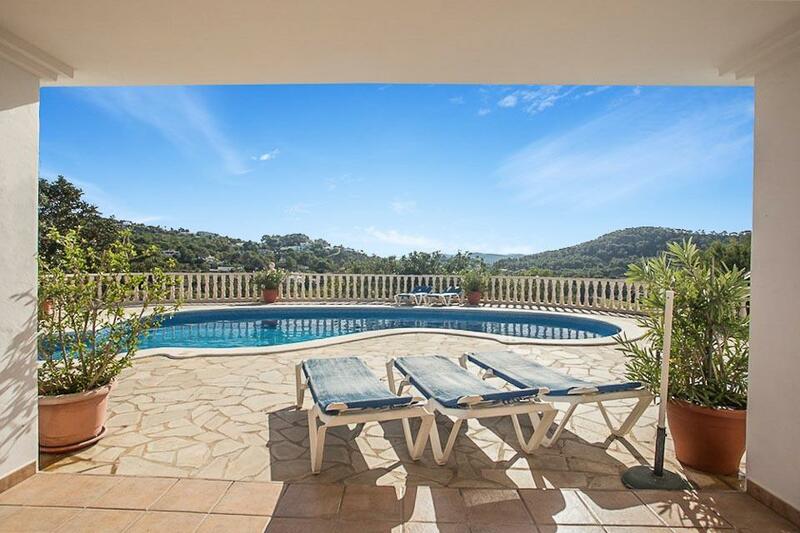 Villa Tunico is a lovely, well-proportioned finca with great areas for socialising around the pool either from the comfort of a sun lounger overlooking the fabulous views, or in the shaded dining area that has a little outdoor kitchen and brick built barbecue. 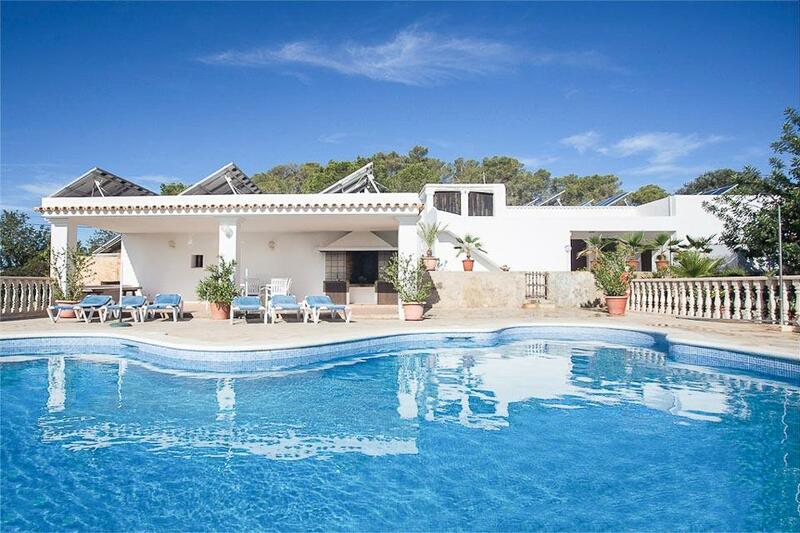 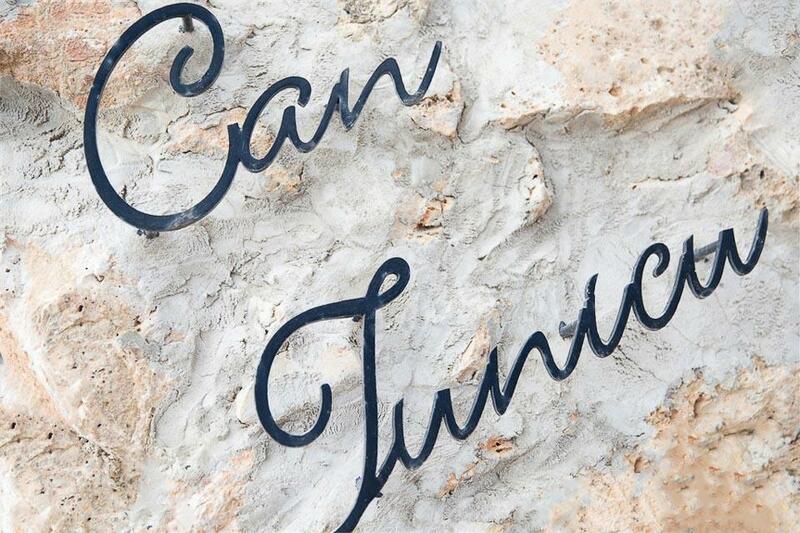 Villa Tunico has a gated private drive, with plenty of parking for several cars. 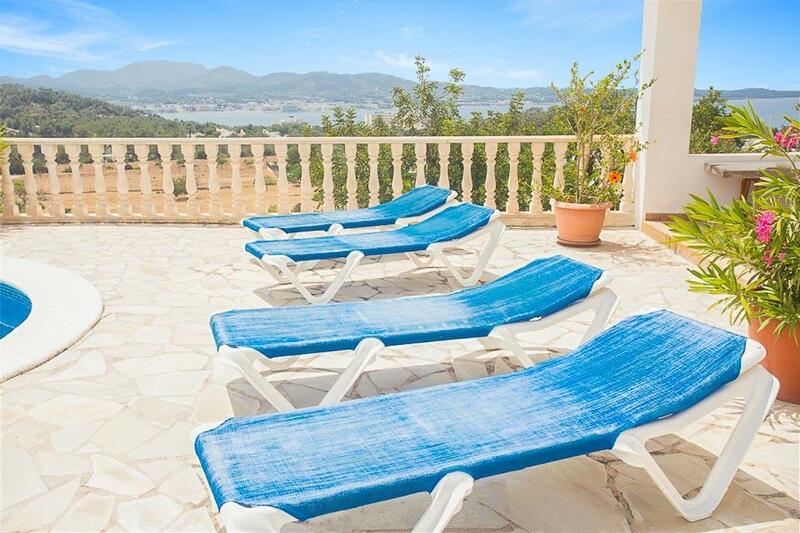 Immediately as you arrive at the villa, you are consumed by the wonderful sea views from the pool and terrace and the views of the surrounding countryside. 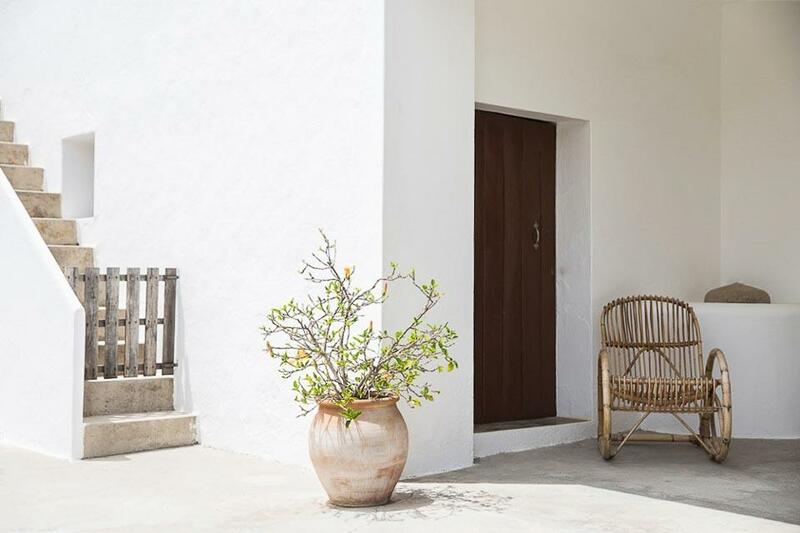 You enter the villa into a finca-style lounge, with comfortable seating. 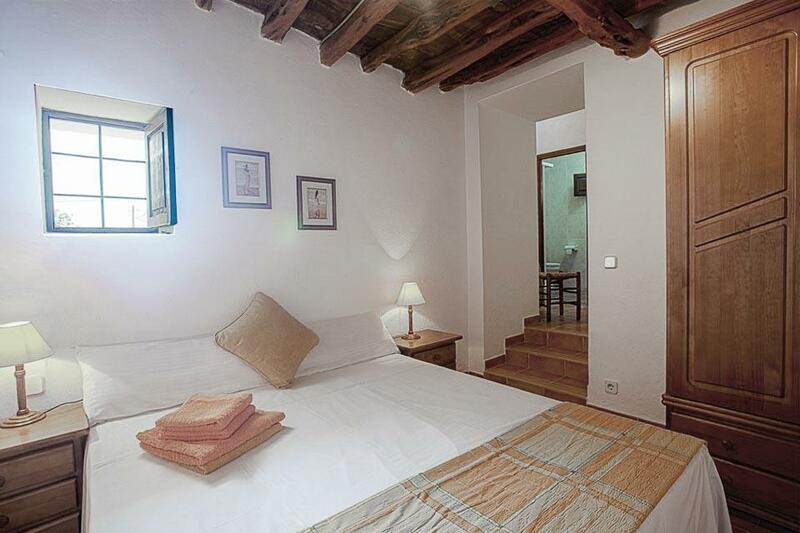 Leading off to the left is a double bedroom with its own adjoining bathroom, plus two further bedrooms. 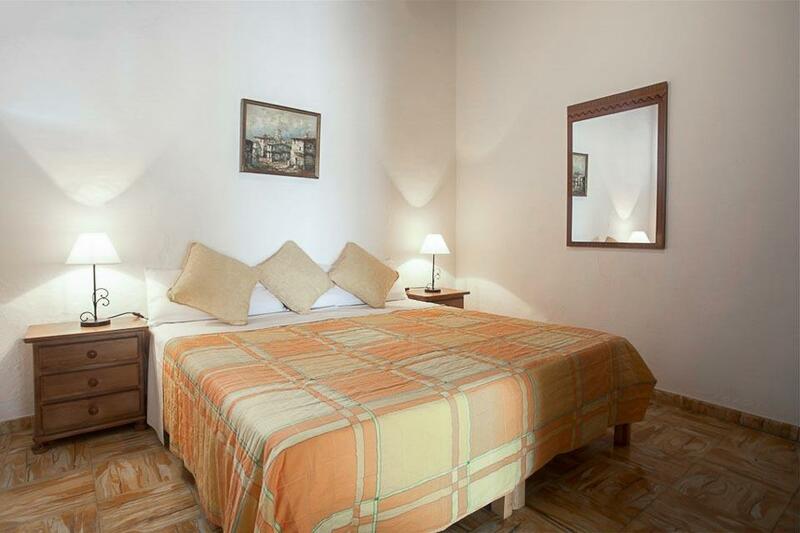 One is a twin room and one is a double room, with an adjoining independent bathroom. 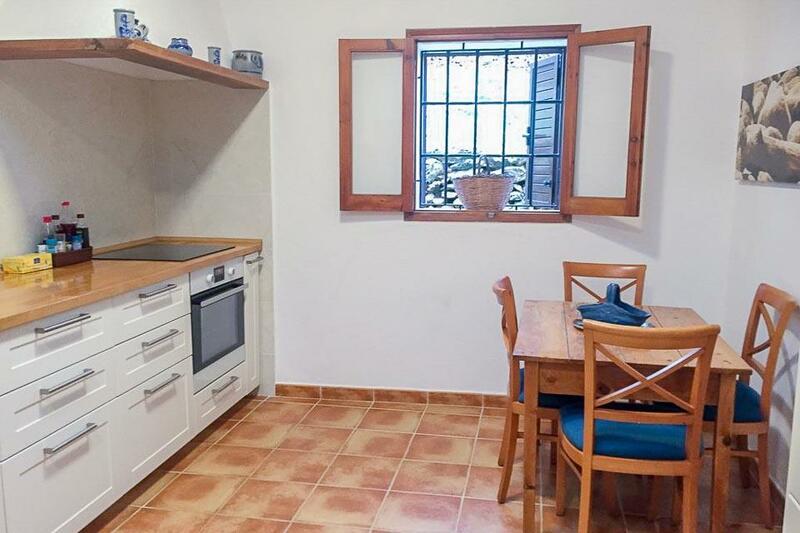 Also off the lounge, at the other end of the villa, is the new kitchen with modern appliances. 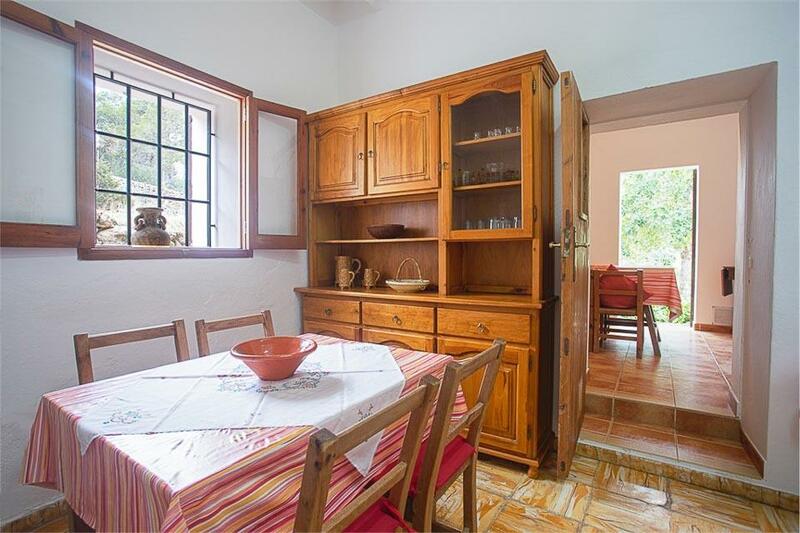 Off from the kitchen is a further dining area with table and chairs and the original finca bread oven. 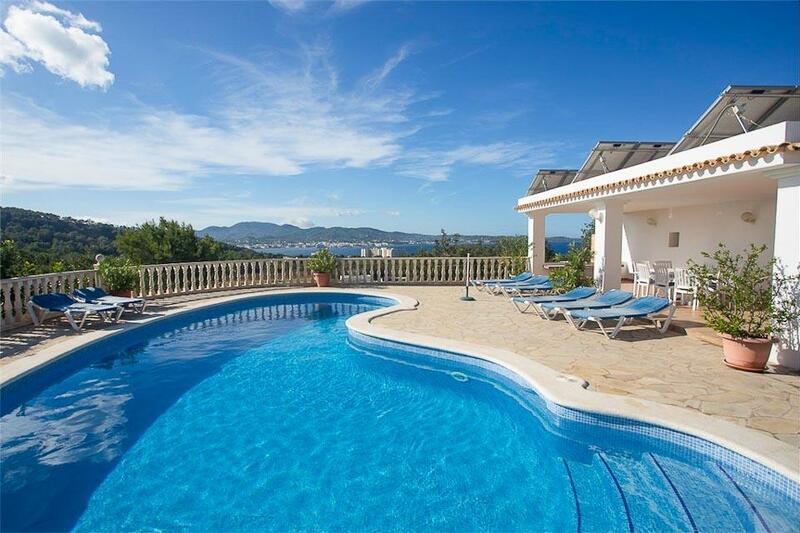 The other two bedrooms are also at this end of the villa. 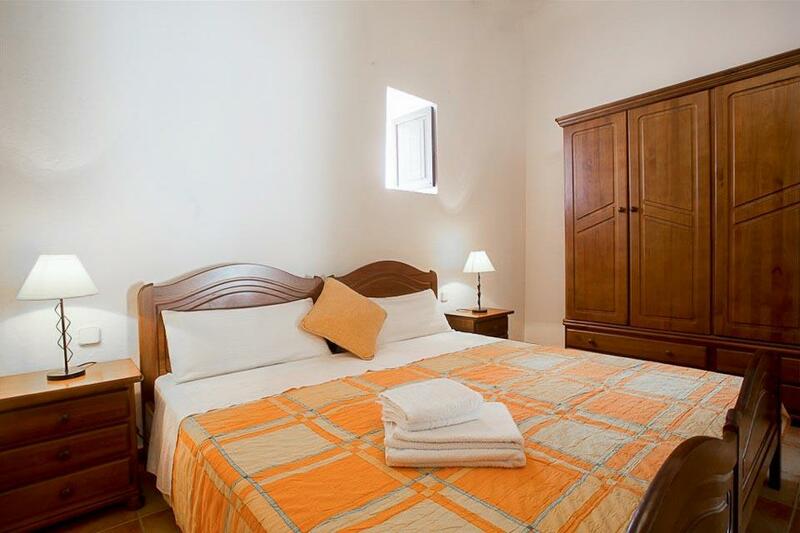 There is one twin bedroom and one double bedroom, sharing a modern shower room. 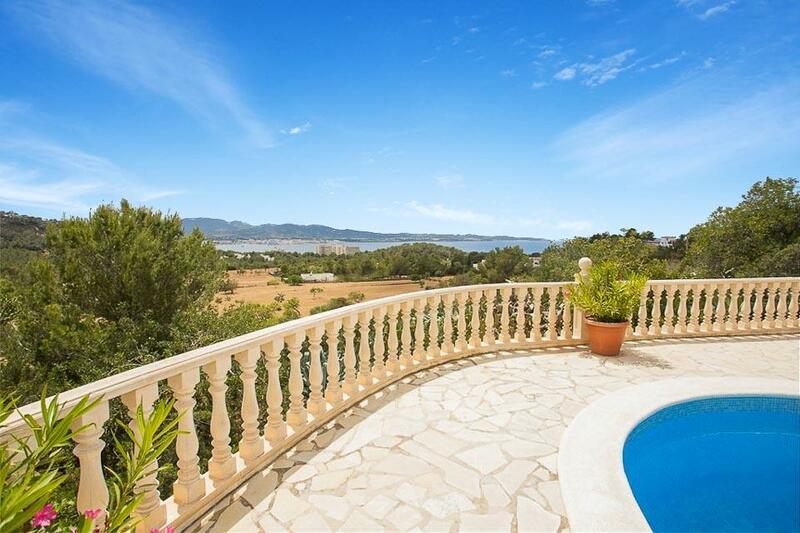 This villa is perfect choice for those who wish to experience a typical Ibizan finca, located in amazing surroundings with incredible views, yet is still close enough to all that San Antonio has to offer.